Dr. Mircea Morariu, a Delray Beach neurologist, is accused of drugging a woman at a bar in Boca Raton. BOCA RATON, Fla. - A South Florida doctor is accused of drugging his date during a discussion about his engagement to another woman. 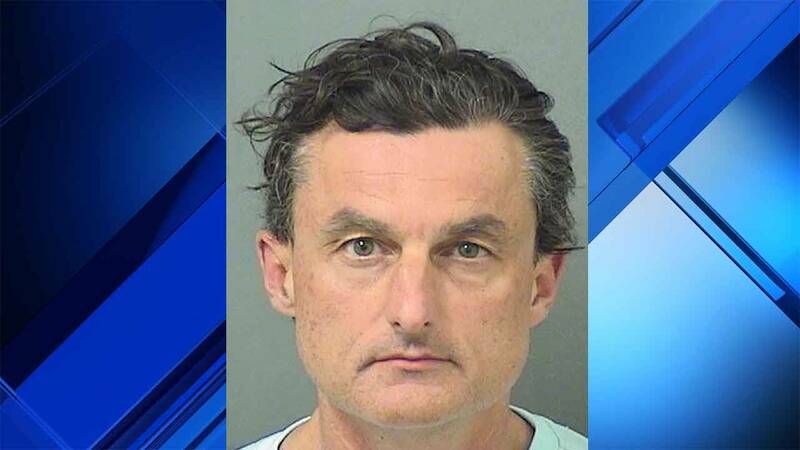 Dr. Mircea Morariu, 50, of Boca Raton, was arrested Tuesday on a charge of poisoning food or water with intent to kill or cause injury. The arrest stems from a Sept. 10 meeting between Morariu and Jeanette Schroeder at Ouzo Bay in Boca Raton. According to a probable cause affidavit, a patron at the bar told police she saw Morariu pour a powder-like substance into his date's martini glass after she got up to use the restroom. Police were called and officers saw a powdery substance around the rim of the glass and at the bottom of the drink. They also found a Ziploc bag containing white powder in the garbage of the men's restroom. Schroeder, 57, was taken to Boca Raton Regional Hospital as a precaution. Police said surveillance video showed Morariu reaching into his back pocket while he was alone at the bar, but the video paused and doesn't show him pouring anything into Schroeder's drink. Morariu denied putting anything in her drink and refused to answer any other questions. During an interview with police, Schroeder said she had recently reconnected with Morariu, whom she met through a mutual friend almost 20 years earlier. She said they were there to discuss Morariu's engagement to a woman with whom Schroeder believed he was no longer romantically involved. "When she returned from the restroom, she stated that Morariu was pushing her drink towards her and that he had moved her water glass away," the affidavit said. "Schroeder stated that Morariu wanted her to finish her drink. Schroeder stated that she continued drinking the martini." Police later determined the bag contained residue of Zolpidem and Alprazolam. "Zolpidem residue was also located in the martini glass," the affidavit said. Morariu is a neurologist at the Florida Neurologic Center on the campus of Delray Medical Center in Delray Beach. A woman who answered the telephone there had no comment about the arrest. The doctor remained in the main Palm Beach County jail Tuesday afternoon.